billy less than 24 hours old, born on the 11th of August 2005 and came in at 8lbs 5. 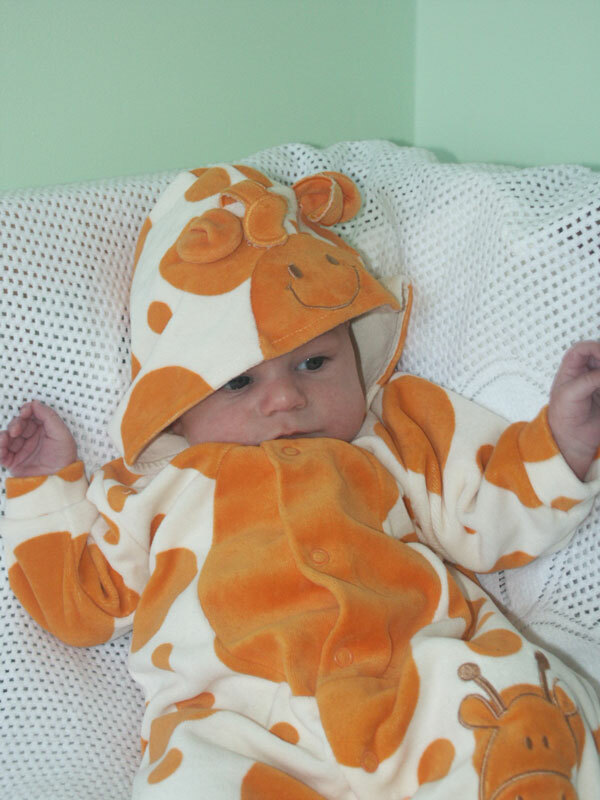 Billy dressed as an Giraffe. 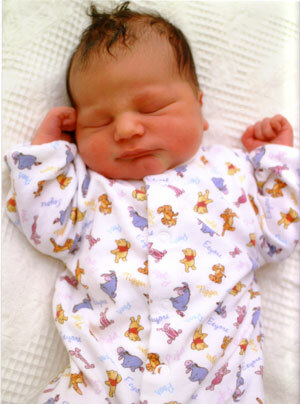 the picture taken on the 2/10/2006, so that makes him about 2 months old. 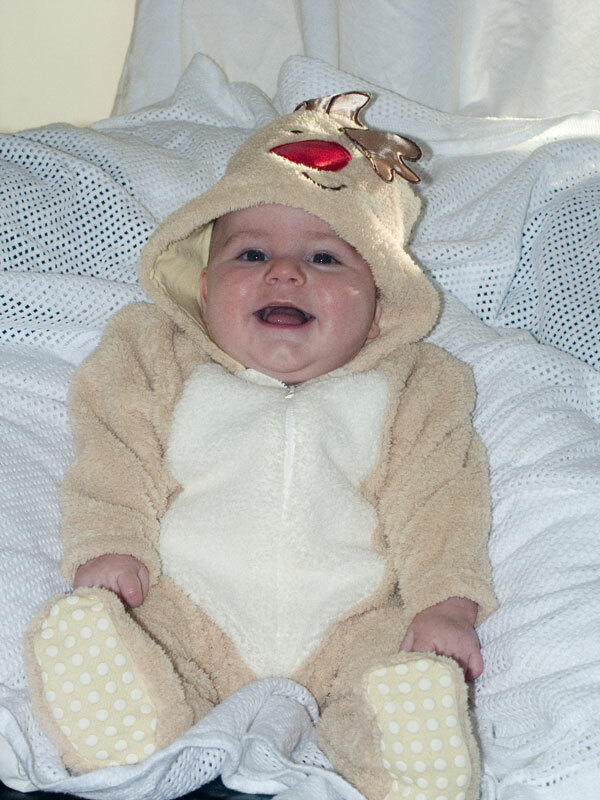 and finaly Billy dress as a Raindeer, taken just before Christmas 2005 and he is about 4 months old.